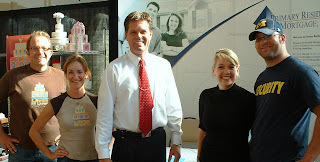 Wade Clark, Real Estate Concepts, 801-645-2218, Megan Dewey and Chris Clark, and Marty Qualls at First American Title, Closing on November 26, 2008. The Squeeze Play is ON! The falling trend line I have been tracking for the past 4 days is now in a triangle formation with the 200 day moving average and current Bond Prices. For today, after my alert to lock yesterday at midday, I am recommending Floating as we see how the Bond Chart Pricing struggle continues to form. Bonds will break our from this formation one way or the other, up or down, rather than stay at the 200 day moving average which is where Bonds have been touching for the past 14 business trading days. After the past few days of significant losses, Stocks are attempting to recover and Bonds will be taking direction from Stocks and from the triangle pricing struggle mentioned above. Bonds started out better this morning, but worsened, and at 1:00 I issued an alert to Lock Advice. Bonds continue to touch the 200 day moving average for the 13th consecutive day. HERE is the BIG news of the day! The October Fed Meeting Minutes were released yesterday. The Fed has expressed concern about deflation. The "D" word. Deflation is when prices drop, mainly due to decreases in money supply and credit. In a deflationary environment, investors flee into fixed instruments, like Bonds. Going back to the Spring of 2003, Alan Greenspan uttered the "D" word. Mortgage Bonds rallied 400 basis points in a couple of weeks, setting off an unprecedented refi-boom. It will take investors waking up to the bargain value of Mortgage Bonds for the rally to begin. I want to let everyone know that we may be on the verge of the refi Boom which I know you have been waiting for. Things are MUCH different now than they were in 2003, but I am watching this VERY closely! Prices have barely peaked above the 200 day moving average. And here is a quick reminder about 2003: When Alan Greenspan came back and later said there is NO threat of deflation-the refi-boom ended Qucikly and rates shot up dramatically (1% higher in 4 days-I was there, I lived it, I saw it!). Stay tuned, we are living history again! Be ready for my call to you to alert you on dramatic drops in rates to take advantage of! When it happens, we may have a SMALL window of opportunity to take advantage of! Bonds continue to trade at, just slightly below, and just slightly above the 200 day moving average for the 11th straight day. For now, I recommend floating to see which way the market breaks and will alwert you when this happens. Bond Prices are continuing to trade at the 200 day moving average for the 10th trading session. I am watching for a break above or below this level and will let you know when this happens. A move upward would signal lower mortgage rates, but if we drop convincingly below this level, we could see a wild sell off as we have experienced many times this year. For now, Stocks are reacting favorably to the Hewlett Packard announcement that they are beating income projections for the 4th quarter and for the year. Finally, some good news from a big name company! Overall inflation on the Wholesale level was released and the decrease was the largest since records started to be kept in 1947 (this was helped by the 25% decline in oil prices). This is good news for Bonds, which hates inflation. I will keep you posted as to the movement in the markets! For the 9th trading session, Bond prices are dancing around the 200 day moving average. With the release of many key reports on inflation (tomorrow), and economic activity (today and tomorrow), I will be watching the market closely for movement above and below this important ceiling of support . Bond Chart Education Moment: When the 200 day moving average is above current pricing, it is a CEILING. As the Bond prices convincingly break above (through) this level of resistance, we will see improved Bond prices and LOWER bond yields and LOWER Mortgage Rates. Of course, the opposite also holds true: a break convincingly BELOW this 200 day average will result in HIGHER mortgage rates (Bond prices LOWER, Yield HIGHER and Mortgage Rates HIGHER). The bond movement at, above, and below, the 200 day moving average is what I will be watching for, and giving you advice on, over this next 2-3 days. After 4 days of positive Bond price movement (remember, price up, yeild down and Mortgage rates down), and after a good start yesterday, my floating recommendation changed to a lock recommendation yesterday at 1 p.m.. Today's stock and Bond movement could be the same as yesterdays. Stocks started poorly yesterday, only to recound and close 500 points better (a 800 point swing!). Decades worse readings on Retail Sales, and profit revisions downward by retailers every single day, still didn't dampen consumer's as much as would be expected, as a better than expected Consumer Confidence report was released today. For now, I am watching Bond Prices closely, currently just below the 200 day moving average, and will alert you if there is a change in direction. Bonds are battling resistance overhead as the stock market stumbles slightly this morning. Adding to the softness in Stocks, Best Buy has lowered their earnings on the heels of Circuit City's Chapter 11 Bankruptcy yesterday. A Treasury Auction this afternoon of $20B in 10 year notes will determine the direction of Bonds over the next 2 weeks. If the the Auction is received poorly, it could put pressure on Bond prices, and with the levels of support just below where we are now, there is a huge drop below those levels and I would change my Float recommendation to Lock. I will keep you posted. 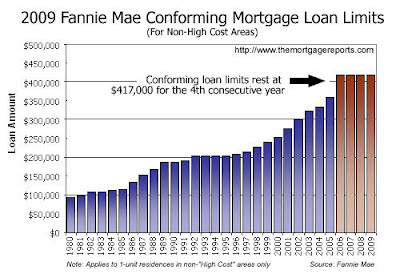 The 2009 Conforming Loan Limits Show No Change From 2008, 2007 or 2006. Loan Limits remain at $417,000 for the 4th consecutive year for single family homes. Bonds are testing resistance at the 50 and 20 day moving average overhead as Stocks rallied this morning on the heels of a Stock rally in China after they announced plans of a $586 Billion bailout plan (similar to the U.S.'s $700B bailout plan). Stocks have not maintained the rally as the day progressed, ahead of an early closing (the Bond market is now closed and will be closed tomorrow for Veterans Day) as Circuit City announced that it is filing for Chapter 11 Bankruptcy and Nordstrom's announced 16% less growth (10% below their previous announcement). I am recommending carefully floating as we continue to test resistance overhead. The shape of Bond prices, bond yields and Mortgage Interest Rates for the next two weeks will be determined by the movement in the Stock Market, which I will be watching very carefully for you! 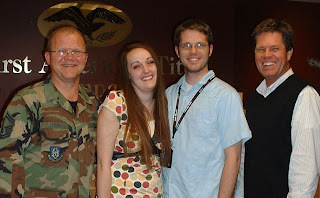 Rob, Emily, and Shannon Thurgood and Marty Qualls. 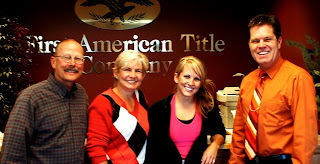 Closing at Inwest Title with Toni George and Sandi Cope, Escrow Officers on November 7, 2008. The Labor Department Jobs report was far worse than expected and unemployment is at the highest level since 1994. Stocks are coming off their worst back to back days since the 1987 Stock Market Crash. The dismal jobs report, the higher unemplyment report and the poor stock market are all helping Bonds this morning. Even though there is a small improvement in Bond prices this morning, I am recommending floating as the weakness in the Equity market starts to sink in as the day goes on. Bond Prices are battling a strong ceiling of resistance, but the future of Bonds could be bullish as the prices break through the ceiling above. Bond prices are down slightly this morning (Bond prices down, Yield UP, Mortgage rates UP), with the release of positive economic news ahead of tomorrows job report. The jobs report tomorrow is expected to be dismal and since we are still currently above 2 of the 3 levels of support, I am recommending floating into tomorrows job report. If things change, I will alert you. We are now in the 4th day of a float recommendation and have enjoyed a 191 basis point price improvement in the last 4 trading days! With more abysmal news in the economy arriving both internationally and in the U.S, I recommend floating for now as we have established the 200 day moving average as the new floor of support. 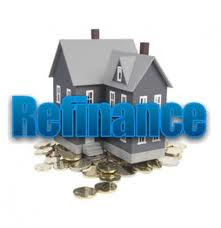 As we meet the rate watch targets which you and I have established as a good time to explore your refinance opportunities, I will be sending e-mail alerts to you. Please call or e-mail me when you receive these e-mails and we can talk about the details of your refinance benefits! With Election Day finally here, Bonds will be taking their direction in price from the Stock market today in the absence of any financial reports to be released. International stocks did well overnight and Stocks here are up slightly with Bonds also up nicely since opening this morning. 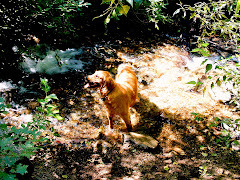 For now, it is prudent to carefully float and I will let you know if there is a change in this direction. The bond prices over the past 5 trading days indicates that traders are indecisive about the direction of the economy. Bond prices remain above an important level of support which could be tested. 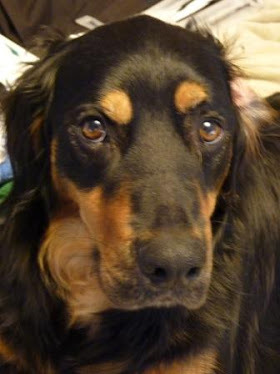 I will watch closely at the stock and bond movement today and will alert you if there is a need to lock. I have posted National Overnight Average Mortgage Rates in a seperate Blog post today whick shows today's rates at approximately .125% higher today than they were 2 weeks ago. See also my Blog Post for the Rate Trend Index where a slight majority of Bond Trading Experts predict rates will be increasing over the next 30-45 days. This week, almost half of the panelists believe mortgage rates will rise over the next 35 to 45 days. Another 38 percent think rates will fall, and the rest believe rates will remain relatively unchanged (plus or minus 2 basis points). After learning more about what a Bear Market is and how it may effect the recovery of the Bond Market, I wanted to share what I learned today. A Bear Market "Correction" is when there is a 10% decline in the S&P 500 stock value and a Bear Market Decline is when there is a 20% decline in value. The last Bear Market was from 3/24/2000 to 10/09/02 and there was a 49% drop in Stock value. During the last Bear market we had to deal with terrorism and the attacks on the U.S., and the dot com bubble bursting. The average Bear Market lasts for 12.3 months, with an average decline in Stock value of 32%. This Brutal Bear Market began 10/09/07 (yes 10/09!) and as of yesterday is now 1 year old. Stocks have declined a staggering 41%. Many analysts and market observers are saying that this Bear Market is different because we are dealing with liquidity issues in the marketplace and non performing mortgages. Yes, this is a new problem we are facing, but it's always something new, just like the dot com situation and terrorism attacks on U.S. soil hadn't been seen before the last Bear Market. It helped me to put things into perspective: This Bear market is worse than average, but not as severe (41% vs. 49% value decline), nor as long lasting (12 months vs. 30 months). Hang in there! It WILL get better! "You buy when there's blood in the streets." Baron Rothschild. You should buy stocks when there is maximum pessimism, and we may be approaching, or may have reached that point already. And as for the day, stocks opened up 700 points lower than the close yesterday, recovered completely and at this writing, are down 328 points. And what about Bonds? Well, they are not faring any better, either. They opened off 59 basis points, and are now trading off 91 bps. Bonds are down heavily and we are in for another mid day rate reprice for the worse. The market closes at Noon MST and will be closed Monday for Columbus Day. My next Rate Watch report will be on Tuesday, 10/14/08. For the short term, I am recommending Locking. Because there is a floor of support in the Bond Charts at the 100 day moving average (we have already fallen below the 50 and 200 day moving average), we may be seeing the worst Bond Prices, but I am recommending locking just in case we continue to fall. P.S. In a seperate BLOG Post, I am writing more details on the Stock Market and the Brutal Bear Market we are in. VERY interesting research and findings this morning that I look forward to sharing with you! I sometimes get so busy that some of the blogs and other emails I get from you are too complicated for me to look @ quickly. I wanted to give you feedback about the one below that you just sent to me. I LOVE IT. It is easy to read, has interesting articles for everyone. Stocks are trying to stabilize today after the largest point swing in history yesterday. This morning, Bond prices have already been all over the place, but as long as prices remain above the 25 day moving average at close today, I recommend floating. In good news for stability and confidence in the stock market, the Fed and Treasury Department will begin to purchase short term commercial paper from businesses to meet their short term capital needs. I will continue to monitor the situation and a lock bias will be prudent if Bond Prices close lower than the 25 day moving average. Rumors are surfacing this morning that the Fed will make an emergency cut in the Fed funds rate, but remember, Bonds have not liked this Fed action in the past 4 rate cuts because it is viewed as inflationary. If there is an emergency cut, be ready for increased volatility in Stocks and Bonds. Stock markets world wide are in negative territory overnight as the $700 Billion bailout plan is looked at as less than a cure all to the financial problems in the United States. As I have mentioned before, the bailout will help us to recover in 12-18 months, as compared to a recovery in 4-5 years without it. Financial markets are in a mess, with or without the Bailout package. 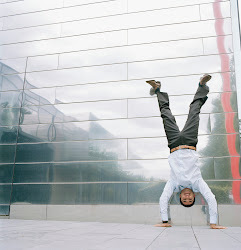 Bonds are benefiting from the movement of money out of the stock market into Bonds. Currently, Stocks are currently off 350 points. The Federal Reserve Bank is pumping liquidity into the market (one of the biggest problems our loan world is experiencing) with their Term Auction Facility, doubling the amount available from $450 to $900 Billion. If there could be a Rate Cut Coordination with other World Banks, we could see some bigger benefit in the mortgage market. As it stands right now, bonds are showing a 84% chance that the Fed will lower the Fed Funds rate by .5% when they meet on 10/29. Remember last month, there was a 100% prediction in the market that the Fed was going to lower the discount rate and they held the rate the same! So much for trying to predict the Fed moves, right?! On the technical side, the 25 day moving average is a solid floor below and the overhead resistance is at 101.31 (current 5.50% trading at 100.88). For now I recommend floating as we watch to see if we can get some additional improvement in the Bond Market. Liquidity is gone in the financial markets as Banks are not even lending to each other within the Federal Reserve System. All eyes are on the newly named "TARP", Troubled Asset Relief Program (the $700 Billion Bailout Program currently before Congress). You heard TARP from me first! Banks are failing, but immediate arrangements are made to keep depositors money safe and prevent a FDIC Insurance claim and payment. Washington Mutual's assets were purchased this morning by Chase, and Citi is in talks to take over Wachovia. Oil is down $2.14 to $104.83, the Dow is up 121 and bonds were flat and trading in a consolidating, sideways pattern for the past 3 days. Bonds and stocks are not making a move one way or the other until TARP is announced. The vote in Congress should be tomorrow (Saturday) and the announcement, as has been the pattern for the last 3 major financial announcements, on Sunday, September 28th. On the technical side, bonds continue to trade just above two levels of support of the 25 day and the 200 day moving average. For today, and for the past 3 days, I have recommended carefully floating while we wait on the sidelines to see what the decision is regarding the financial bailout package. Manufactured Housing Financing update 9/25/08: Still have financing! Okay….HUGE confusion on Manufactured homes!! Guidelines were changed regarding DAP’s (Down Assistance Programs) with Manufactured homes and the way that the new guidelines were rolled out, they led everyone to believe that Manufactured Homes went away (NOT surprising assumption in this market!!) HOWEVER, the guidelines were “re-rolled out” and the verbiage reworded and Manufactured Homes are STILL OKAY (but DAP’s with them are not!). Just as the past two days of advice has started, this morning I am recommending carefully floating as Stocks are up 190 points and Bonds are up 10 bps from open. Today's news which benefitted Bonds included a worse in 7 years Initial Jobless Claims Report reading which indicates weakness in the Labor Market. The Durable Goods Report also came in lower than expectations, showing again that we have inherent liquidity problems in our economy because it takes financing to build durable goods and expand inventories. These two reports are adding to the need to pass the $700B rescue plan, and quickly! Several key reports coming out of Capitol Hill from President Bush's National address last night, is that we will see action on the recue plan by Monday 9/29/08! For now, I recommend floating, but as we have seen recently, the direction can change quickly and I will advise you of a need to lock if the Bonds change direction with the additional testimony of Paulson and Bernanke today. On the technical side, Bonds are trading just above their floor of support at 100.06 (floor at 100). As previously mentioned, we have seen Bonds bounce off of this floor in the past, but in the event Bond Prices fall below this floor, we could see another .49 bps drop in prices (drop in price=increase in bond yield=increase in mortgage rates). 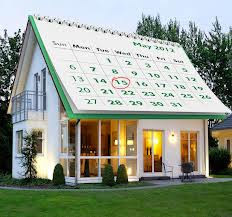 This week, 40 percent of the panelists believe mortgage rates will rise over the next 35 to 45 days. Almost half think rates will fall, and the rest believe rates will remain relatively unchanged (plus or minus 2 basis points). FHA is working on rewriting the guidelines for Manufactured Homes, so I anticipate they will be back….but as of now, we can’t do them. Bonds are improving slightly from yesterday's lock alert at midday. All eyes are on the Bailout discussion with Treasury Secretary Paulson and Fed Chairman Bernanke doing their best to sell the need for the program to the House and Senate Banking Committees. So far, it sounds as if the program would pass a vote in the House and Senate, but there will be some 'Politisizing' of the way it should be handled. Speed of the vote is critical. Credit is tightening daily and we continue to have a liquidity crunch in the Mortgage Market. I again say that the bailout move will help the Financial Markets, Stock and Bonds, over the LONG RUN, but for the short run, the market is looking at many bumps and volatility! For now I recomend carefully floating and will be watching the 4 critical reports and 3 meetings going on today which will have effect on the direction of rates. o 2 months PITI if there is documented equity of at least 30% in the existing principal residence (as determined by an appraisal or AVM). · Reserves equivalent to 6 months PITI for both properties is required. After a mid day reprice for the worse yesterday, after a Lock Bias yesterday morning, today the Bond market is trying to stabilize in the midst of the Fed's Testimony before Congress to sell the $700 Billion Bailout package. 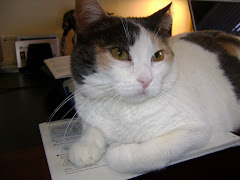 For now I am advising to Carefully Float and I will watch the market's reaction to the Congressional hearings today and will alert you of a change in direction. This is an incredible day at the end of a VERY incredibly volatile week! Today, there have been 3 enormous announcements which are going to have a HUGE impact on our financial markets. Yesterday there was a modern day (21st century) "Run on the Bank", with $180 Billion withdrawn from Money Market Funds. Today, the Fed and SEC have come to the rescue with the following announcements which are sure to improve the Financial Markets, Stocks and Bonds alike, over the LONG TERM. Here are the 3 announcements: 1) The US Government will Guarantee ALL Money Market Funds! 2) The Fed will create a marketplace for all of the illiquid Mortgage debt! Absolutely Brilliant! 3) There is now an SEC ban on short selling of 799 financially related stocks (this is in place until October 4th and can be extended for 30 day increments as needed). For now I recommend Carefully Floating as we ride this wave of great news. The market is going to be exceptionally volatile today, so I will watch closely and advise you if we have a turn for the worse in the Bond Market. More wild ride today! The Bond market opened slightly worse to the improvement in Stocks. Oil went to $98/ barrel, stocks rallied and Bonds were at the worst point of the day and I recommended Locking ahead of a midday loan price worsening. Stocks rally for the rest of the day and soar to a 400 point increase. But in the light of all of this movement, Bonds ended the day EXACTLY where they had started which was at 101.00! Lot's of movement from open to close, but we ended up in exactly the same place! Bonds are currently trading in a BROAD range of almost 100 bps (you should see the Bond Charts, it's unbelievable!)! On the technical side, bonds are trading between a ceiling of 101.47 and a floor of 100.50 (ended the day at 101). Anything is possible in this volatile market and I continue to recommend floating to see what direction we can see in tomorrow's opening. I don't normally give a Market Close report, but today deserves a mention of the wild ride we are experiencing! Bonds have made up half of their loss from yesterday, up 58 bps (up 44 bps since we received rate sheets) (we lost 96 yesterday) and the Stock market is looking for a life preserver (off 239). Here is a quote from a Bond Trader who has been in the market since 1969: "I have never seen a market like we are in right now". VERY VOLATILE! With the current movement in the market and the financial news, I continue to recommend Floating. Bonds are trading modestly higher (higher price, lower yield and lower interest rates) after the Fed's loan to AIG to prevent it's Bankruptcy, and the Stock market is off 500 points so far today. Stocks and Bonds are digesting all of the news from yesterday as the Fed left the discount rate the same, and today's report of lower new housing starts. For now, I recommend cautiously floating as Bonds improve slowly from yesterday's downward market movement. Not such good news in the investor financing arena. 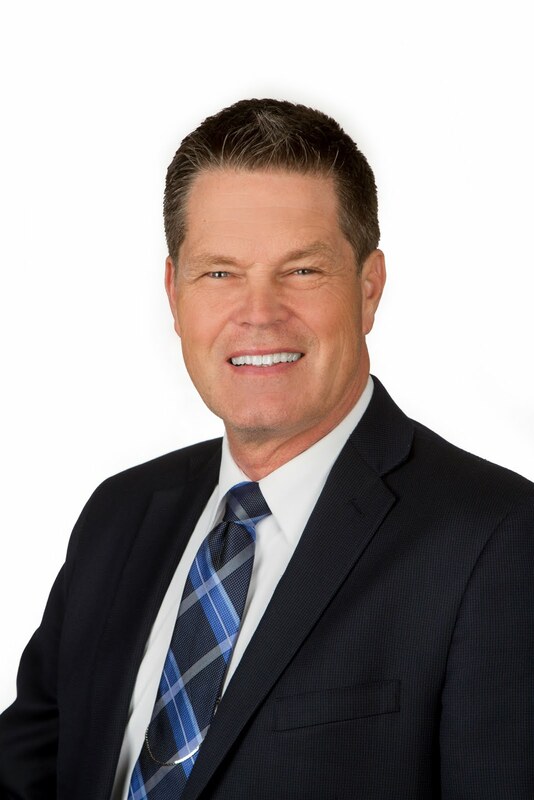 We have been receiving rate adjustors from our lenders of an additional 1% cost for investment property financing at 80% and 90% loan to value. The rate hits are not as severe at 70%. We received the last investor increase today (of our 8 we place loans with), so from here on out it is going to be more expensive to finance investment property (for the time being, anyway!). Up until today there really was not a worry that the Fed would cut the Fed Funds rate at their meeting today, but with the dire circumstance of near Bankruptcy of AIG (an insurance company operating in 160 countries! ), the Fed may cut the rate by .25% to .50% today to give a calm in the the face of a storm. If this happens, bonds will not like this because of the inflationary pressures that it puts on bond prices. Stocks are retreating early in trading and is helping Bonds stay at the flat line, to slightly off, since the markets opened. Stay tuned, I may be reversing my recommendation to Lock this afternoon after we see what the Fed does with the Discount Rate. This really is a wild ride we are on right now! Just another Moday? Not by a long shot! Remember a whole week ago? We had the Fannie/Freddie Government backing announcement? Today is loaded with just as much good news for improvement in Mortgage Bonds as last week. Stay tuned and my advice is to Float for now, and I will guide you on our timing for locking in possibly the best mortgage rates this year! The 2008 Fall Bridal Fair at Union Station in Ogden was the gathering spot for Bride's, their Mom's, and even some of the Groom's! In the two years that I have been involved in the Bridal Fair, this was the one which I was able to deliver the most exciting news about First Time Home Buyer BENEFITS yet! 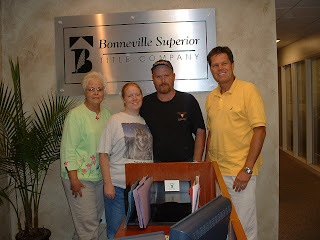 $7500 First Time Homebuyer Tax Credit! 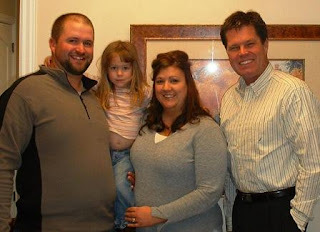 Utah Housing 100% Financing is still here! 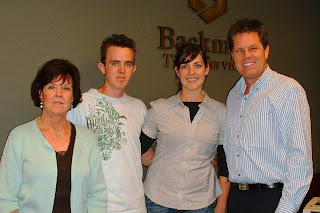 Best Mortgage Rates in 2008! 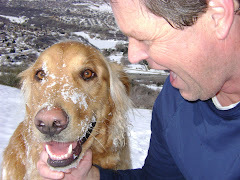 Go to the right side of my Blog, look for LABELS and search for "Planning for Success" and "Loan Program Updates". 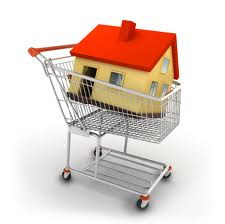 Here you will find information and tools for First Time Home Buyer's! 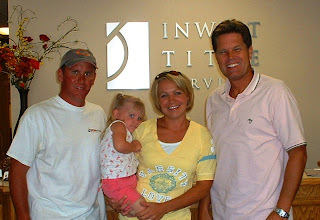 Justin, Adyson, and Lana Brady, Marty Qualls, Closing at Inwest Title with Rachel Miller, August 29, 2008. After 4 days of favorable bonds, there is a negative crossover emerging in the bond charts, indicating an overbought status. The Bond Market took in data from reports relased today that the Economy is stronger and inflation highest since 1991 (in the key Personal Consumption Expenditures Index (PCEI) report that includes energy costs). This PCEI was at 2.4% and the Fed likes to see it at 1-2%. With the headwinds of a stronger economy, 4 days of improving rates and a higher than expected inflation report, it is prudent to recommend locking. The market closes early today and will open again the day after Labor Day on Tuesday. 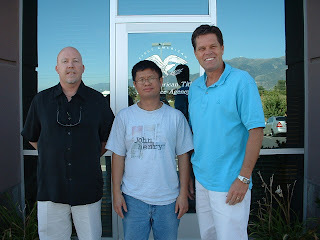 Brent Larsen-Zip Realty, Monthien Charangkit, Marty Qualls-August 28, 2008-Closing at First America Title. Bonds have tested an important ceiling (100 day moving average) and are already off of their best pricing for the day. Two important factors are going to continue to test Bonds today. First, 2nd Quarter Gross Domestic Product numbers were released and they exceeded expectations and this is putting selling pressure on bonds because of the strenghtening of the stock market. Second, there is a $22 Billion dollar 5 year Treasury Note Auction this afternoon that could put additional selling pressure on Bonds. For now, I continue to recommend floating and will watch as the day progresses for changes in direction. 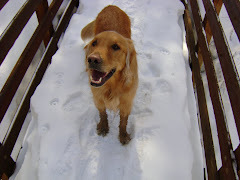 "Marty answered any and all questions that we had. He told us about all of the programs that were out there and assisted with helping us to have requirements completed for the programs that we qualified for. We were able to understand everything that was going on every step of the way. 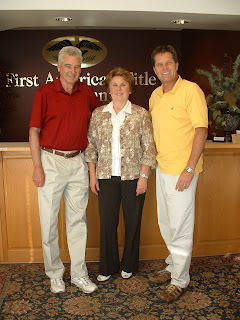 Ron and Cheryl Galli (signing with Power of Attorney for son John Galli who was out of town and unavailable), Marty Qualls-August 27, 2008. 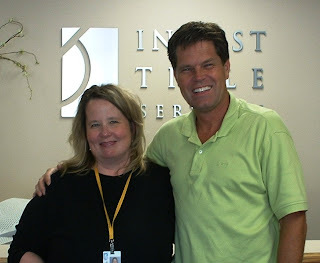 Closing at First American Title, Sue Heiner Escrow Officer. Durable Goods orders Report for July was released and was much more favorable than expected, along with Atlanta Federal Reserve Presedent Lockhart's comments about inflation pressures easing, has created selling pressure in the Bond Market and improvement in the stock market this morning. There is also concern about the path of Hurricane Gustav, and the possible disruption of oil supply in the Gulf of Mexico. For now I recommend Carefully Floating, but will be watching the markets very closely today and advise you of any change in direction. Consumer Confidence was up with the strenghtening dollar and lower oil prices. Technically, Bonds are trading at 100.66, comfortably between the floor of the 50 day moving average of 100.28 and the ceiling of the 100 day moving average of 101.04. For now, I recommend floating, but stay tuned for any changes in direction. Bonds are catching an improvement this morning with the uncertainty in stocks caused by weakness in Fannie Mae, Freddie Mac and Lehman Brothers (still no suitor for Lehman Brothers). Technically, the Fannie Mae 6.00% Bond is trading at 100.56 which is in between the ceiling of the 100 day moving average at 101.06 and the floor of the 50 day moving day average of 100.25. At 9:00 a.m. MST, existing home sales just came in slightly higher than expectations which is continuing to help Bonds. For now I recommend floating and see if there is continued improvement in Bonds as the day goes on. Humans first made large-scale use of wind power almost 3,000 years B.C., when the Egyptians built the first sailing ships. Would you like to sign up to receive all of my Blog updates? It's easy! Sign up for the RSS Feed (on the right side, top, right below my portrait). I use Outlook, so I signed up for the Atom, the choice at the bottom of the choice list. After I signed up, now I see my Blog in my mail menu on the left under RSS feed and I can click on it to see all of my blog posts. I can copy and paste to my clients and Realtors who are interested in a topic I have Blog posted. If you choose any of the others (Google, Yahoo, etc), my Blog will be listed on the left hand side and you can click and open it and see the Blog Posts. 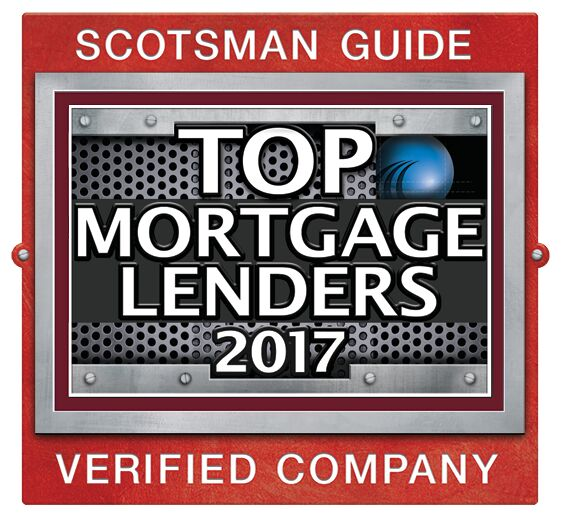 Now it's easy to stay in touch with what's going on in the Mortgage world! Bonds are favorable this morning after a worse than expected Consumer Price Index (worst inflation this year since 1991) and Initial Jobs Claims report which is showing continued weakness in the economy. For now, it is prudent to float and watch to see how Bonds perform underneath the 3 levels of resistance overhead. The markets are very volatile this past week and I will keep you posted on any changes in advice that may occur. The Current Trend Direction this morning is sideways after weak economic reports by John Deere and Macey's. Stocks have taken a slight downturn which has helped Mortgage Bonds hold onto their gains from yesterday. Technically, Bond price is currently at 99.94, above support of 99.09 and below a tough ceiling overhead at the 25 days moving average of 100.11 and the 50 Day MA at 100.30. For now we can float, but I will watch closely for movement since Bonds are trading within a wide range right now. I just received a rate lock alert after the market lagged this morning and early this afternoon. With the higher inflation report I now recommend locking. 12:40 p.m.
Mortgage Bonds are trading lower this morning and should be taking their cue from stocks, which will be watching crude oil very closely. The lower oil prices should help ease inflation, as the Fed has recently mentioned, but oil flow has stopped in Georgia because of the Russian bombardment of the country and it unknown how or when the situation there will end. With Bond prices moving lower this morning, and on the technical side, a tough layer of resistance overhead, I recommend locking. 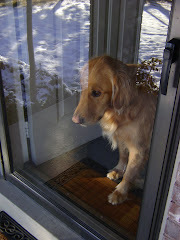 As always, I will watch the situation closely and keep you posted of any changes in the market. The first television sitcom couple to ever share the same bed on a regular basis was Lily and Herman Munster. Mortgage Bonds are up this morning after the Second Quarter Productivity Report in non-farm business was released at 2.20%, slightly lower than estimates of 2.50%. What is particularly interesting about this report is that employers eliminated 165,000 workers in the Second Quarter, so what happened is that we got more production from fewer workers! I guess this is what they used to call "American Ingenuity"! When you get more production from fewer workers, this is good for Bonds becuause it helps lower inflationary pressures. As predicted yesterday, prices went up to the 25 day moving average and have now bounced off this level. I am recommending locking today and taking advantage of the price improvement and lower yeild we got yesterday and this morning. P.S. Oil is down again this morning at $116 per barrel, well below the $147 peak from last month. What's crazy is that we think $116 per barrel is cheap! A tax credit is much more valuable than a deduction! A credit reduces dollar for dollar the amount of tax you owe. A deduction merely reduces the amount of your income that is taxable. Under the new law, certain homeowners will be eligible for a tax credit equal to 10 percent of the purchase price of a home, up to a maximum of $7,500. The credit is $3,750 for married couples filing separately. Unmarried people who jointly purchase a home will be able to divide the $7,500 credit. This tax credit is actually a loan, administered through the tax code (basically, a LOAN, cloaked as a tax credit!). 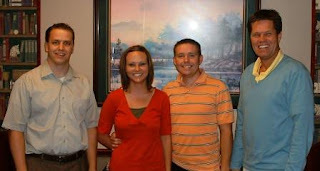 Very important that our first time homebuyer's understand the mechanics of how this loan will be repaid. The loan does have the best rate and term you can get. It's interest-free! Buyers who take advantage of the TAX CREDIT, would be required to repay the government over 15 years in equal installments for any amount received. So let's say the first time homebuyer qualifies for the maximum $7,500. The terms would mean a yearly loan payment of $500 for 15 years, or about $41.67 a month. WHEN DOES THE REPAYMENT BEGIN? 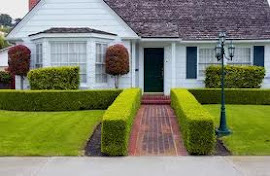 : Repaying the credit starts in the second tax year after the home is purchased. If the home is sold before the credit is paid back, the entire amount becomes immediately due. However, if the home is sold and the gain is less than the credit, then the amount that must be repaid is up to the amount of gain. If the homeowner dies, any outstanding amount is forgiven. The credit applies only to homes purchased on or after April 9, 2008, and before July 1, 2009.
WHO QUALIFIES FOR THE CREDIT? High-income buyers won't qualify for the credit. LESS can be claimed, the more you earn. The phase-out starts for single filers with adjusted income of more than $75,000 and $150,000 for joint filers. It completely phases out at $95,000 for singles; $170,000 for married couples filing jointly. Additional standard deduction allowed (only applied for the 2008 tax year): The law would provide homeowners who claim the standard deduction with an additional standard deduction for state and local real property taxes. The maximum that may be claimed under this provision is $500 ($1,000 for joint filers). In this mid-day alert, Bonds are having a great day with the pricing 37 basis points better since pricing this morning. Bonds are enjoying improvement at the cost of stocks that are currently off 175 with 1 hour remaining in the session. Bonds appear to be heading toward the ceiling at 25-30 bps overhead. 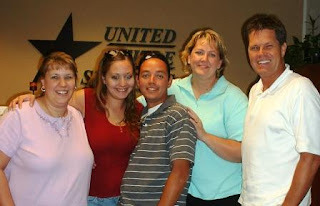 Down Payment Assistance Programs (DAP) will be prohibited-Loan must close by October 1, 2008 to still have sellers pay down payment and closing cost (for 100% financing) through a DAP. Minimum Cash investment for FHA loan to be 3.50% (was 3.00%). Sources of down payment that will still be allowed: Gift from a relative, Loan from a Relative (with loan payment amount included in borrowers debts), sale of real property (with proper documentation), loan against real property with inclusion of new debt payment in debt to income ratios, approved city and county grants, and Utah Housing Down Payment Loan. Sellers can still pay closing costs and prepaids for the buyer. FHA risk based pricing moratorium to be permanently in place October 1, 2008-September 30, 2009 (temporary risk based pricing went into effect July 14, 2008). Lower upfront and monthly Mortgage Insurance Premium for better credit scores and higher down payements. This risk based pricing also allows buyer's with lower credit scores to get FHA financing (at higher upfront and monthly Mortgage Insurance Premium). Mortgage Revenue Bond Authority-Authorizes $10 Billion in Mortgage Revenue Bonds for refinancing Sub-Prime Mortgages. If you or someone you know has a subprime loan, give me a call and I can go over the new options for refinancing the loan into an FHA loan! GSE Stabilization from Treasury Department to Authroize Treasury to make loans to Fannie Mae and Freddie Mac to insure that they don't fail. Technically, the 25 day moving average is 66 basis points overhead and Bonds may make a move toward this ceiling. Factors improving Bonds this morning include Wal-Marts announcement that sales could be slowing in August and the release of the Initial Jobless Claims report which came in worse than expected. The only thing preventing Bonds from doing even better this morning is the poor earnings report for Freddie Mac which was also released this morning. For now, I recommend carefully floating and see how the Bond Market reacts to the Treasury auction of $10 Billion in 30 year Bonds this afternoon. I will let you know if there is a change in direction in the market.